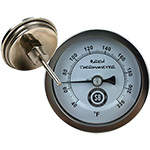 This 1/2” NPT Brew Thermometer is ready to screw directly into the kettle. This 2.5” stemmed thermometer can cover 40-220 degree ranges. 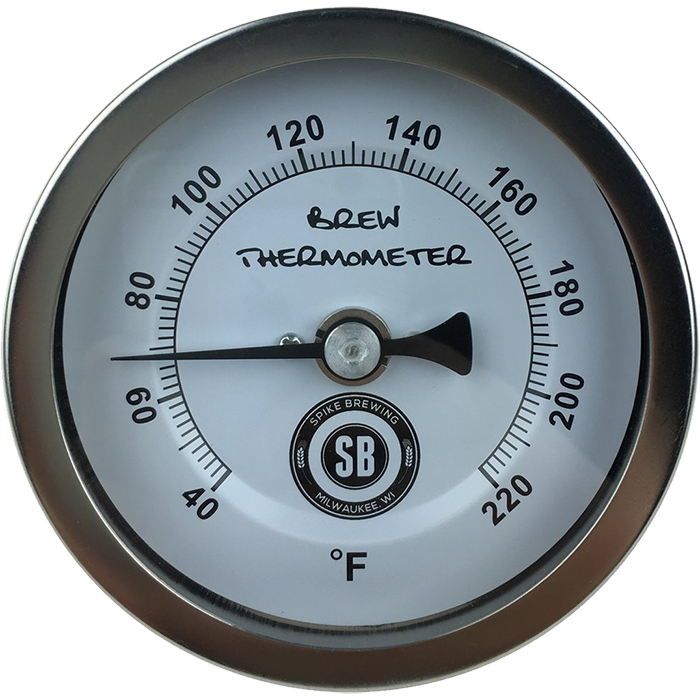 The 3” glass dial will display all the information you need at a glance and while withstanding the high heat from the burner below. The thermometer also has calibration screw for added accuracy.